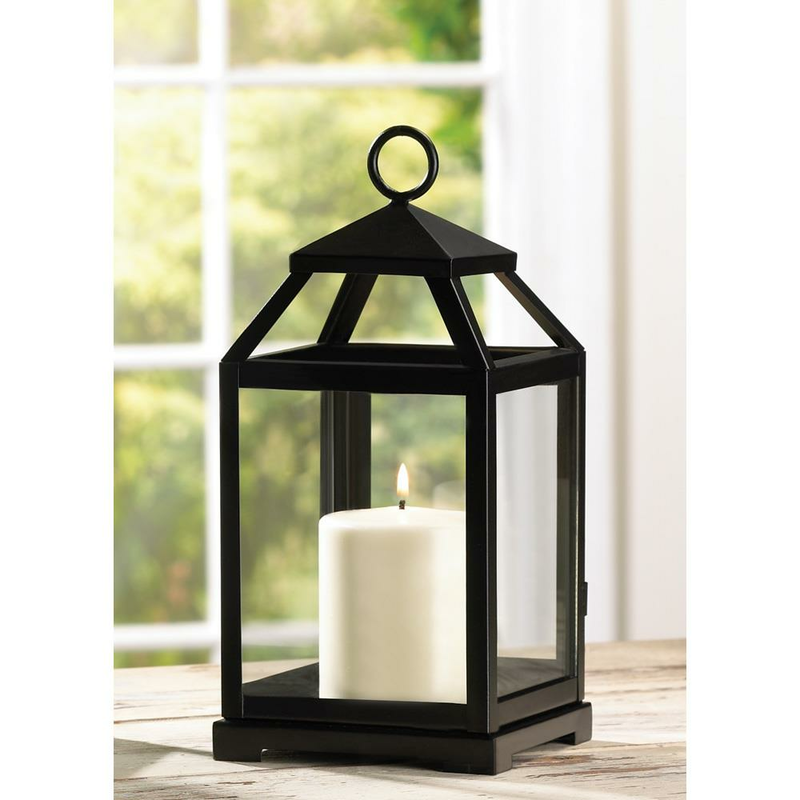 Squared glass-paned lantern gets geometric appeal from a simple silhouette and classic matte-black finish. 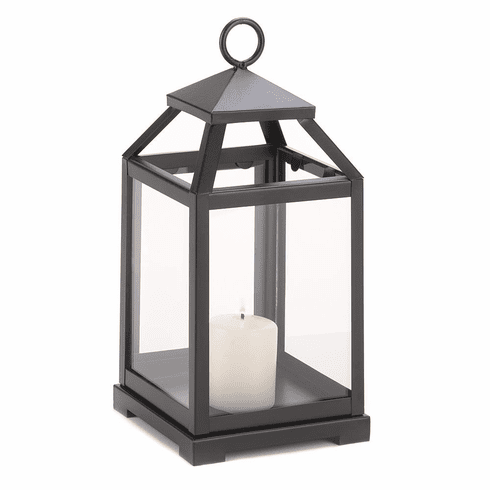 Safely houses a stately pillar candle for hours of enchanting light! Weight	1.9 pounds. 5.5" x 5.75" x 12". Iron, Glass. UPC Number: 849179012519.